I love peaches. I also love pork tenderloin. When I found this recipe, I thought, “this has gotta be good”, although I was a little apprehensive about combining these two food loves of mine. I mean, do they really go well together? The answers is YES, dear reader, they do. This is one of those perfect summer dishes. Basically anything cooked on the grill reminds me of summer. And peach is a distinctly summer flavor (especially here in the Southern United States). We ate our dinner out on the back deck and enjoyed the reprieve from the midday heat as the sun sank behind the trees. It was a great way to end a very busy weekend! Place the salt and sugar in a medium-size metal or glass heat-proof baking dish. Add the boiling water and stir to dissolve the ingredients. Stir in the ice cubes to cool the brine. Add the tenderloins and let them marinate, covered, for 30 minutes in the refrigerator. 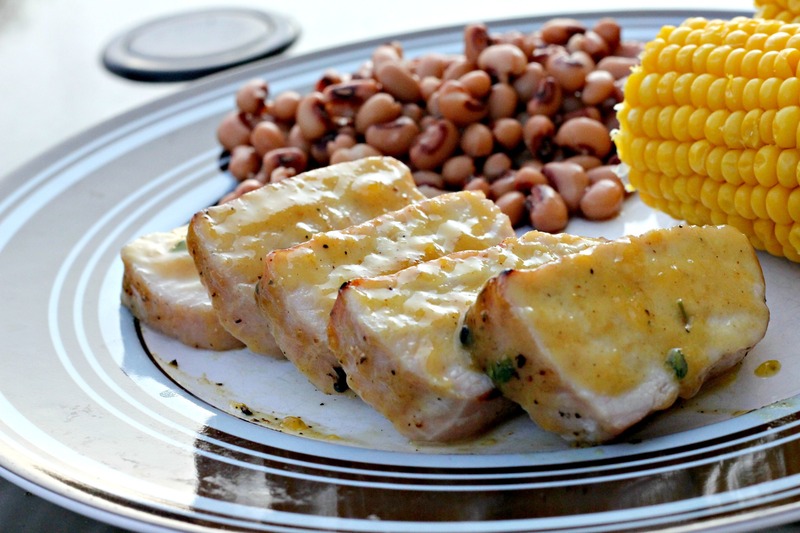 While the tenderloins marinate, prepare the grill for cooking. Then, in a small bowl, stir together the peach preserves, rosemary, and mustard. Set aside 1/4 cup. Remove the meat from the brine and rinse it thoroughly. Pat it dry with paper towels and season it with pepper. Place tenderloin on the grill and cook, turning occasionally, until the internal temperature reaches 145 degrees, about 20 minutes. About 5 to 8 minutes before the meat is done, brush on the peach-mustard glaze. Transfer the tenderloins to a cutting board, cover them with foil, and let them rest for 5 minutes. Serve them with the reserved 1/4 cup of glaze. 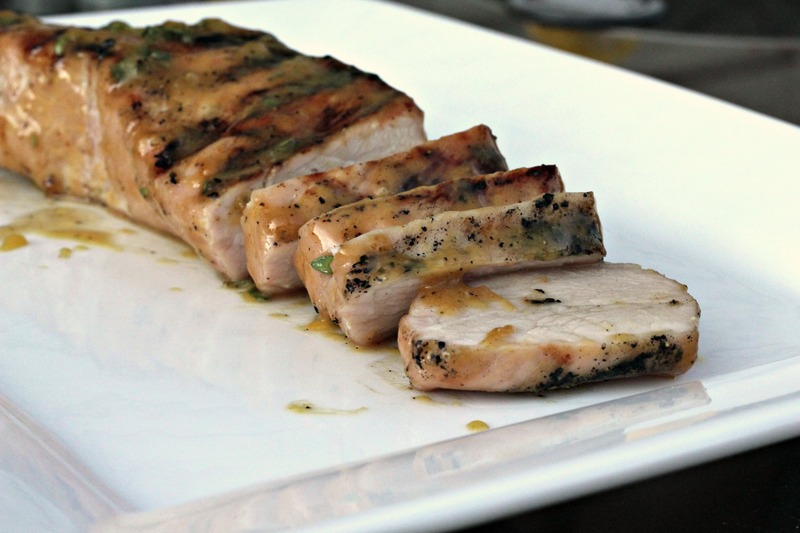 Pork tenderloins look delicious with peach preserves and rosemary!